Another one from the archives. One of the major perks about living in Europe is the ability to jump on a plane and explore another country for a few days. This was how I convinced Steve to go to Ireland. Well not so much convinced; he wanted to go and I had only spent 24 hours in Dublin previously thanks to a birthday present from my brother, Andrew. 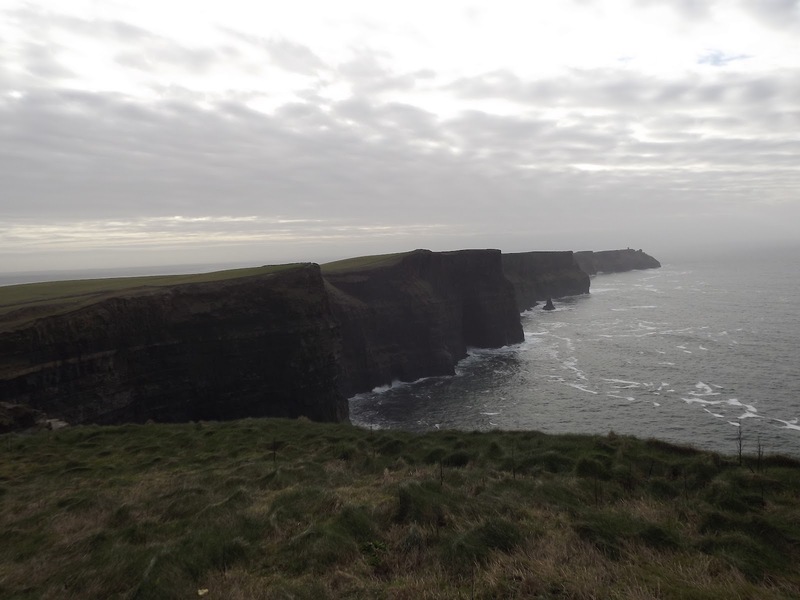 Ireland is such a magical country, and we spent 3 days exploring it, from Dublin to the cliffs of Moher and Galway. Sleep was for the weak! One of the perks of living in Europe is how close you are to so many other cities and cultures that are just waiting to be explored, which was why The Boy had to look on in bemusement recently as I did a happy dance complete with girly squeal – cheap flights to Dublin had been found and secured! So it was that we packed our bag (literally, he put some serious limitations on my packing) and jetted off for four hectic days in the Emerald Isle. To tell the truth, I had been to Dublin before, back in 2007 when I celebrated graduating from university with a four month jaunt across Europe. My brother, disgusted that I travelled all that way without heading to Ireland did the amazing and bought me a cheap ticket to Dublin so I could have 24 Guinness-filled hours and a traipse around Temple Bar before the long haul flight back to Oz, complete with the memory of the grilling the border security guard gave me about why it was I had already been in two other countries that day. It was, however, The Boy’s first time so heady with excitement – which somehow managed to survive the early morning wake up call and the hour-and-a-half bus ride out to Beauvais airport -we took off on a cold and grey January afternoon. Against all the odds the Dublin we flew into was lit up with golden sunshine and so we sat in silence, rubber-necking at every thing in sight for the 20 minute ride into town – only to discover that we had left all the details for our hostel on the kitchen bench back in Paris. But never let it be said The Boy and I are easily defeated, only easily distracted, especially after discovering that just because there’s sunshine doesn’t mean there is warmth involved in the light! We jumped off the bus at Temple Bar and strolled around the colourful, cobblestone streets poking our heads down alleyways and following any street which looked like it might hold something interesting to us before settling ourselves down for a welcome to Ireland pint and a good pub meal after a whole 15 minutes of searching for where we would bunk down for the night. 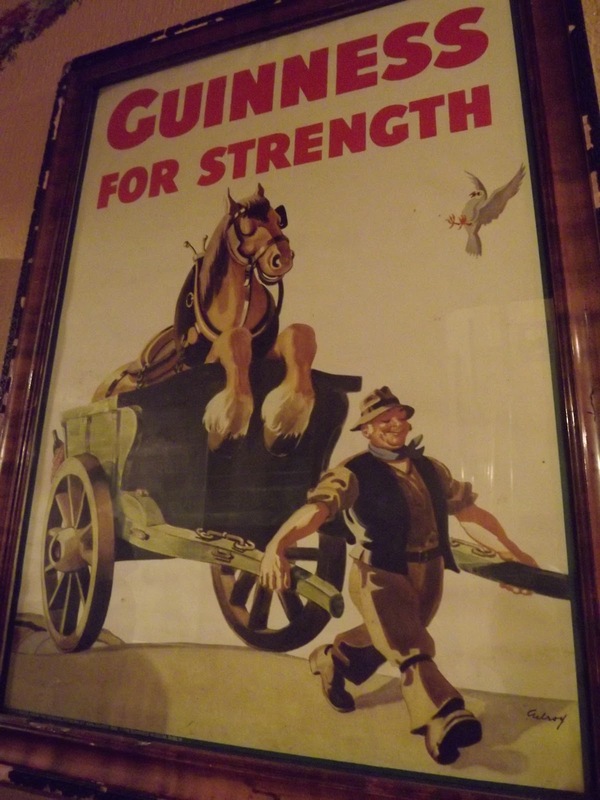 The Old Storehouse was one of those Irish pubs with memorabilia-covered walls and dark wood furniture. It also, luckily for us, had Guinness and Smithwicks on tap where we discovered the saying is true; the more water between the Guinness and Ireland the worse it is: in Ireland it is actually drinkable and what’s more I actually like it. A few hours later, hostel found and fingers and toes thawed we hit the streets again to explore but discovered that as born and bred Aussies, Ireland in winter was a wee bit cold and a pub crawl was in order. 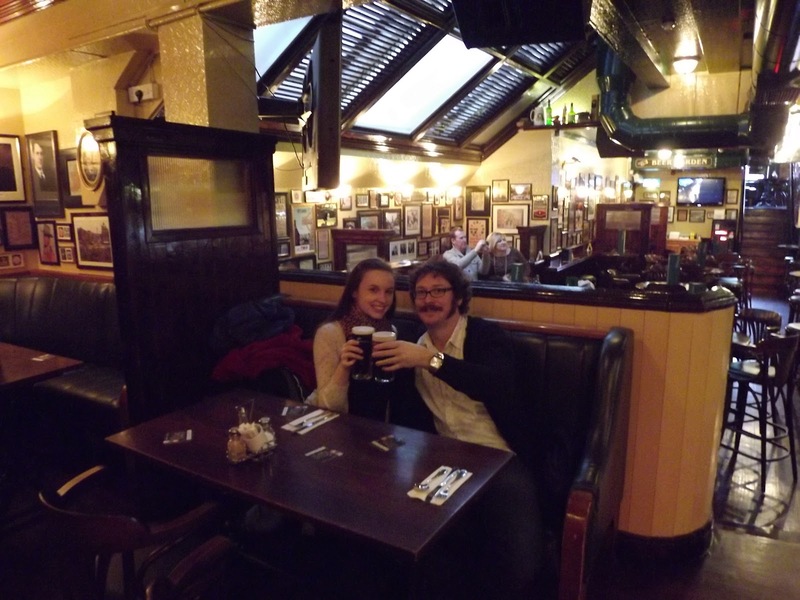 First up was The Brazen Head – the oldest pub in Ireland. Established in 1198 there has been a pub standing in that spot continuously since, and let me tell you it is worth it! Open fires – check. Dark, cosy corners – check. Great food and drinks – check. 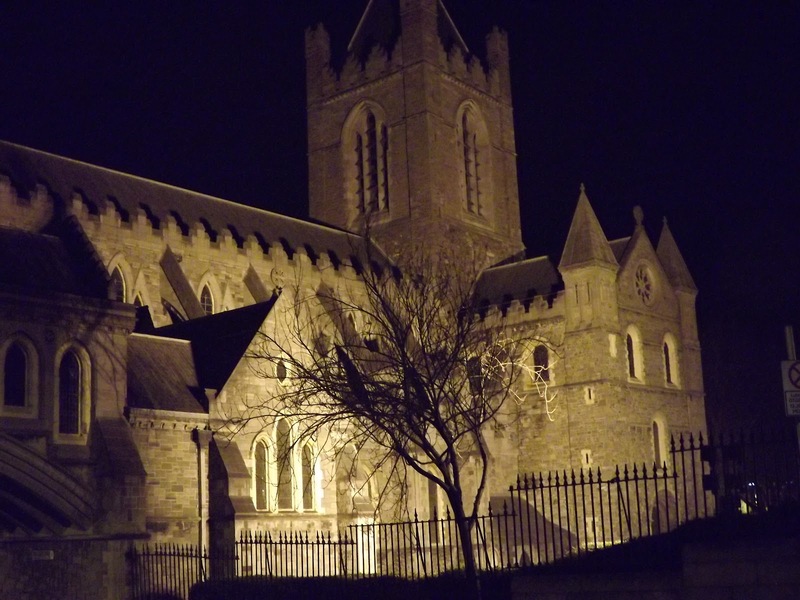 Heading back out into the night we took off across town, stopping in at any pub that took our fancy, as well as to admire the sights including the lit up Christ Church Cathedral before eventually winding up at The Stag’s Head pub which was the Lonely Planet’s recommendation for food. Massive fail as they don’t actually serve dinner but they do play host to a free comedy show each week which goes above and beyond the standard general life observations peppered with swearing I’ve previously been exposed to and is actually, dare I say it, funny. Day two in Ireland resulted in a trip to the Jameson Distillery where The Boy entered seventh heaven and I discovered a previously unknown liking for whisky, and some more exploration of the tiny city including a trip to the Modern Art Museum which is located behind a castle-like turret and leafy park entrance, and a walk along the River Liffey. But no trip to Dublin would be complete without a stroll along O’Connell Street to see the post office still bearing scars (and bullet holes) from the 1916 Easter Uprising and a visit to the famous Whelan’s Pub where movies like The Commitments and P.S. I Love You were filmed. Our final full day we took off, boarded a bus for the west coast and explored the country side which was nothing like the smooth, green rolling hills I’d imagined. Grey-green, craggy and often dotted with giant limestone rocks it was bleakly beautiful. 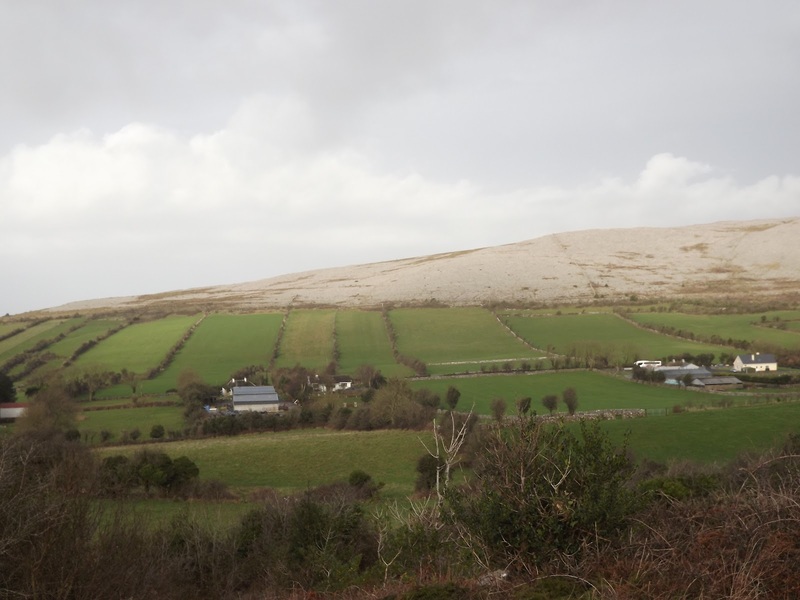 The Boy and I took the opportunity to climb up into the hills and to look out over the farmlands and out to the ocean and I realised every pre-conceived conception I’d had about Ireland had been wrong. But it was the Cliffs of Moher which took my breath away, with the smooth stone giving away to crashing waves and a myriad of birds soaring and diving on their way out to sea. If only for this, the two hour drive from Dublin was completely worth it. We had an hour in magical, magical Galway which I will forever wish I had longer to explore before we shot back to Dublin and cosied up in The Cobblestone for a farewell whiskey and some live music. 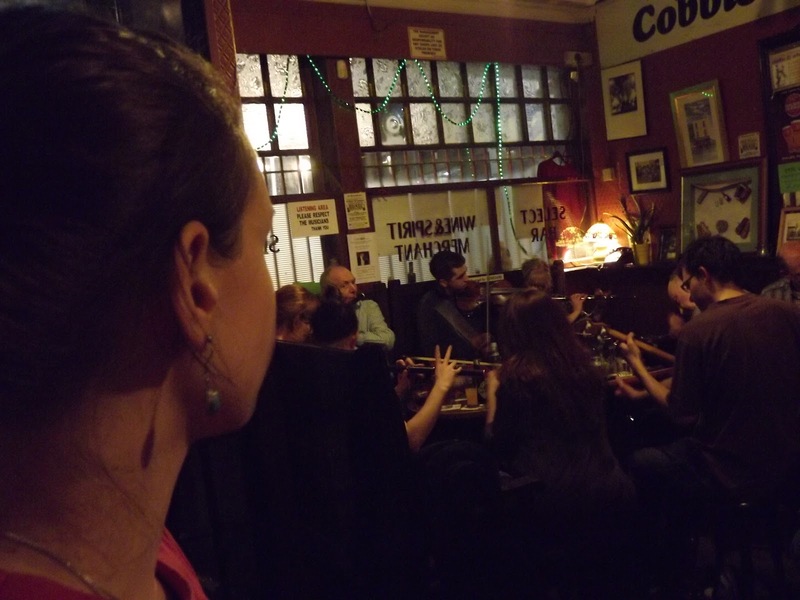 I had realised that even in Ireland there are fake, kitschy Irish pubs but the Cobblestone was one of those great tip-offs only a local can give you: full of character and locals popping in for a pint on their way home or to jam with the group nestled in the corner with violins and guitars. But the time had rushed past way too quickly and it was time to head home, but even the walk back to the Four Courts and after the alarm for the flight back to Paris had been set for a mere 4 hours later couldn’t dim the joy this trip had brought me.